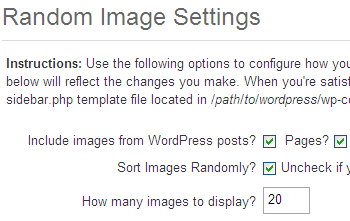 ・Include images from WordPress posts? Pages? ・How many images to display?